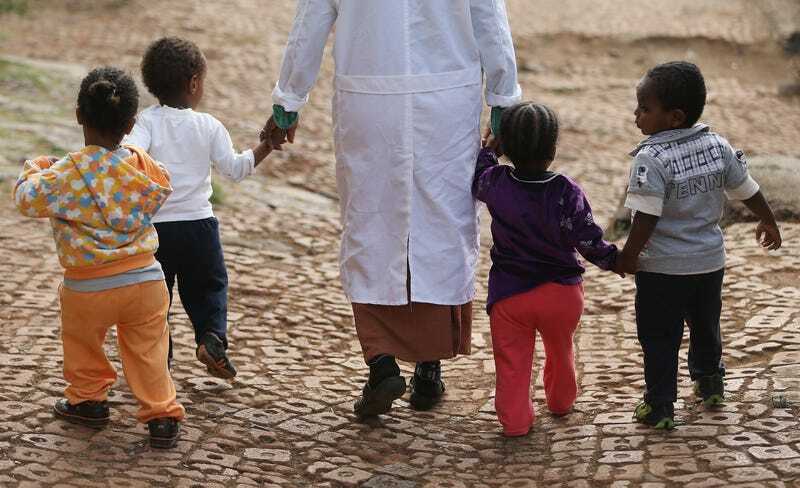 Ethiopia’s Parliament voted Tuesday to ban all foreign adoptions of Ethiopian children, citing concern over abuse and neglect of the adoptees. The decision follows several months where all adoptions had been suspended, NPR reports. The new guidelines, as originally reported by the Associated Press, state that Ethiopian orphans should be raised in their home country, where they can honor their culture and traditions. “They should either be adopted locally or supported by a guardian family, tutor or help them to reunite with biological parents or relatives,” the law states. The decision follows several high-profile cases of abuse, neglect and exploitation. As the New Republic and Mother Jones reported, a white evangelical fixation on adopting children from war-torn countries led adoption agencies to give up Ethiopian children for adoption who weren’t actually orphans. In these cases, agency workers would take children from their families to a different region of the country, where they claimed the children had been abandoned. Then there was the case of Hana Williams, a 13-year-old Ethiopian girl who had been routinely abused by her adoptive parents for three years. Hana died of hypothermia in 2011: alone, naked, hungry (she had been regularly deprived of food) and facedown in the mud outside her parents’ home. She left behind a younger adopted brother, also Ethiopian. Also abused. Larry and Carri Williams were sentenced to prison in 2013 for the death of Hana and the assault of her brother, and the case prompted Ethiopian lawmakers to halt adoptions out of the country that year by 90 percent, according to AP. Just two years ago, Ethiopia had ranked sixth in the word for international adoptions, according to the U.S. State Department. The decision will go into effect in the coming weeks, AP reports, once it’s published in the government legal gazette.